Our rugby community has also realized their dream of purchasing property to build a complex dedicated to rugby. We currently own 14 acres just North of Downtown off Nichols Rd. The goal of this campaign is to raise funds to build a dedicated facility to promote and harbor the sport and culture of rugby in our community. We are very excited to build and maintain the kind of playing facility that will push the limits of rugby success both on and off the field in Kalamazoo.  The Kalamazoo Rugby Football Club prides itself in camraderie, teamwork and dedication. Through the years the team has lost and gained many players. At the same time the club has never lost its roots or love for the game. As a team in whole, we are fired up and ready to play quality rugby, although, that doesnt mean we don't know how to have a good time. And gave new meaning to the words "Instilling Fear!" We're a team that won't back down or give a yard! We play it rough, we play it tough, we play it hard! Playing for the brave and the true! We're the Dogs from Kalamazoo, we're the Dogs from Kalamazoo! *Latin "strike hard, strike fast"
Listed herein are the winners of the KRFC's Annual Awards since 1995. The names on the "Official Awards" are also kept on plaques at the Up & Under. The names on the "Unofficial Awards" live on in infamy & legend.